7:40 I wake up to little man's coos on the monitor. He usually wakes between seven and seven-thirty, so this is sleeping in for him (and mommy, too!). Daddy has already left for work so I go upstairs and get little man. I bring him into our room and nurse him in bed. Then we spend some time playing and reading. Parker is loving flip books lately and Where Is Baby's Belly Button? is one of his favorites! 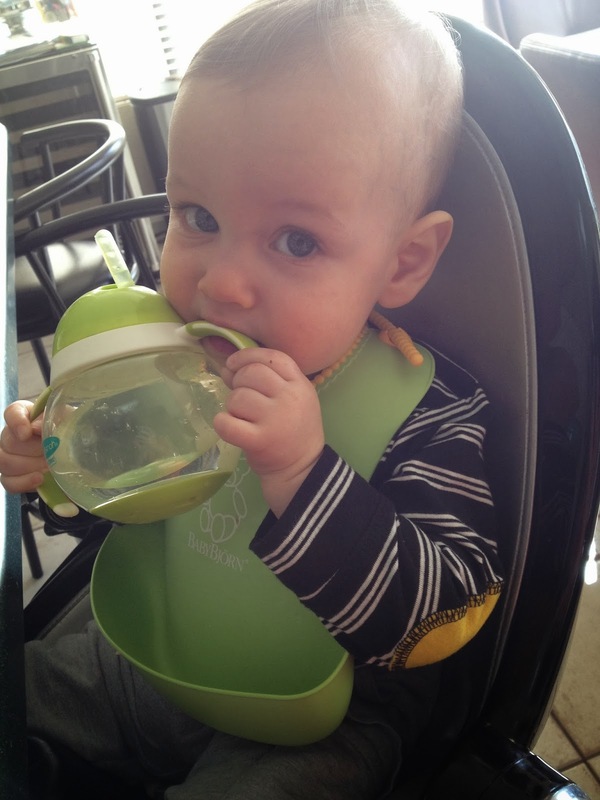 8:45 Parker chills in his high chair while I make breakfast for him: tiny waffles, plain whole milk yogurt and banana! 9:15 I carry little man upstairs for his morning nap. 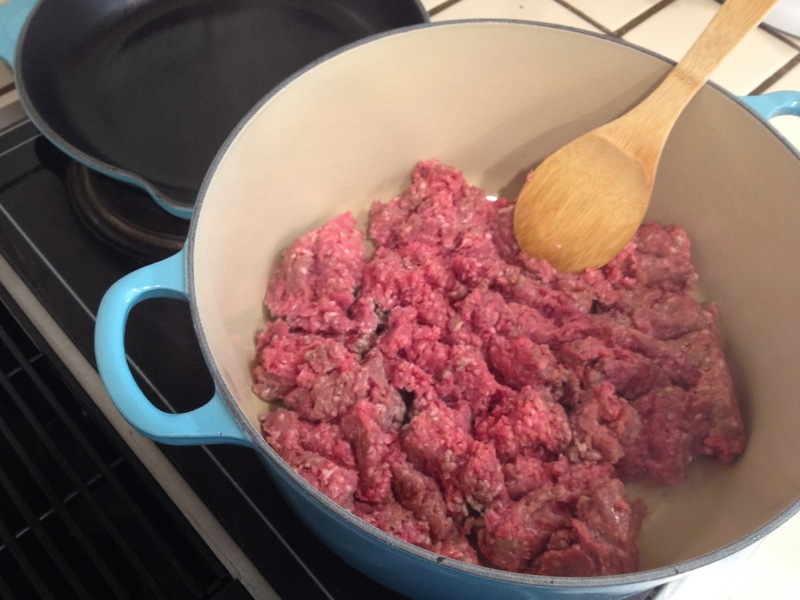 I take a quick shower and clean up the kitchen, then get started on making a new Pioneer Woman recipe: Sour Cream Bake. I'm obsessed with the Pioneer Woman right now; all her recipes are delish! 10:30 I hear that little man is awake and bring him downstairs to the den where I can watch him as I cook. He's happy as can be playing with his soft scrunchy book. I go back and forth, playing a little, cooking a little, playing a little. 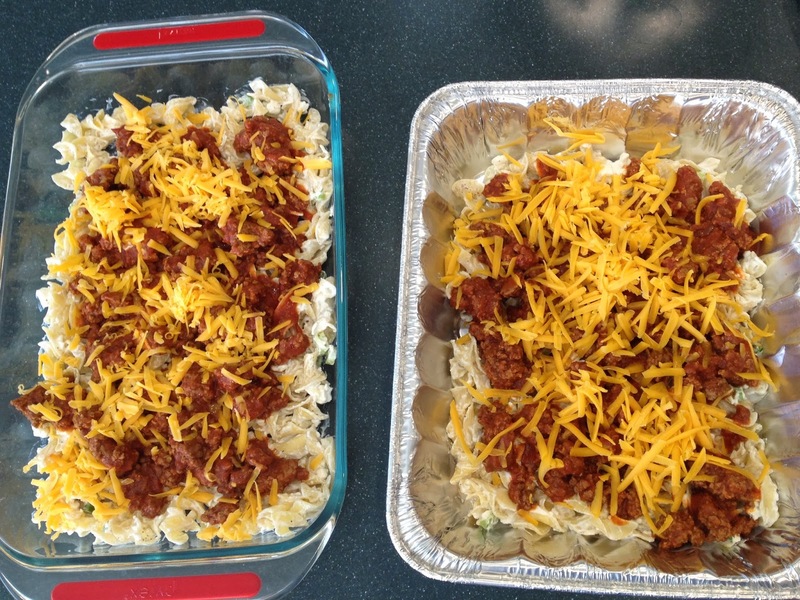 11:30 I start layering the casseroles (pictured below with just the first layer). I end up with two casseroles: one for dinner and one to freeze for later, plus extra cooked ground beef to place in baggies for the freezer. 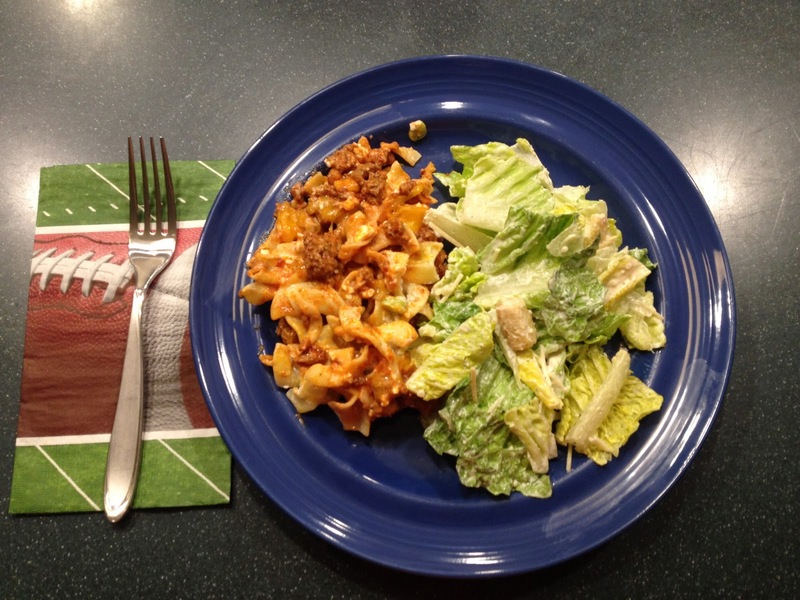 I cover the casseroles and place in the refrigerator and freezer. Then I nurse little man before we head out to Mommy & Me yoga! 11:45 On the road to yoga! 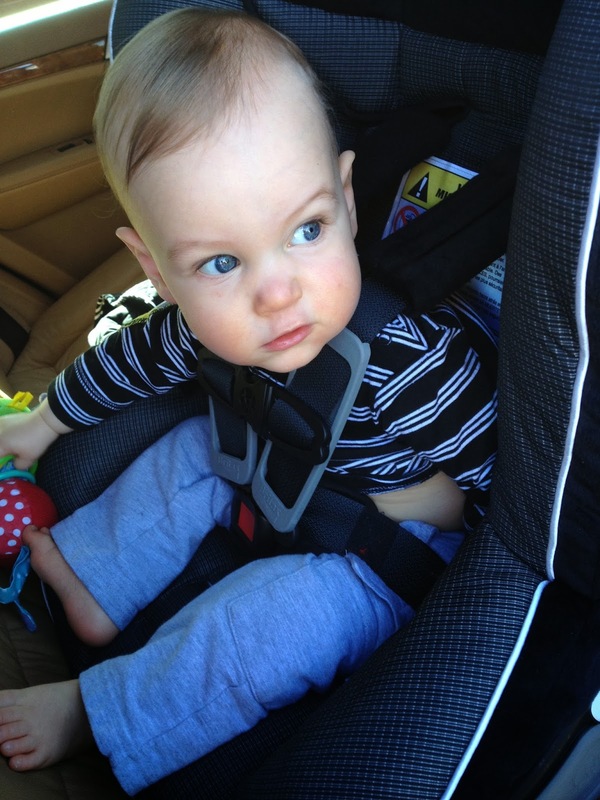 After Parker's morning nap is when we usually head out for play dates, errands, music, or whatever he have for the day. 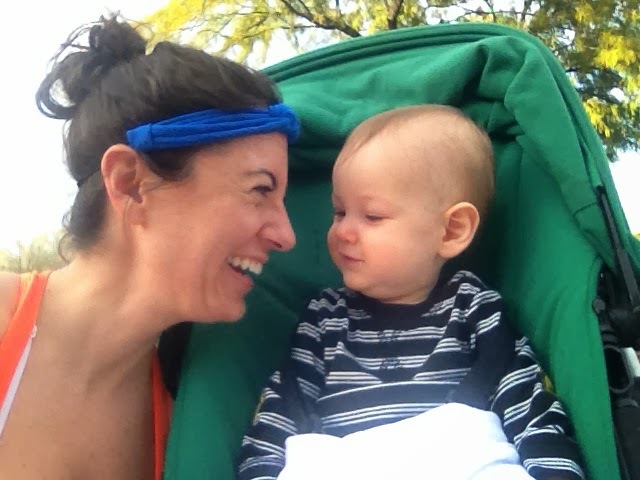 12:00 Mommy & Me yoga starts! Parker has been attending since he was six weeks old. I can't wait until he can do poses with me! He sits at the front of my mat and watches me, the other moms and Erin our instructor. He plays with his toys, and towards the end of class wants to move so we spend shavasana playing. 1:30 We are back at home! 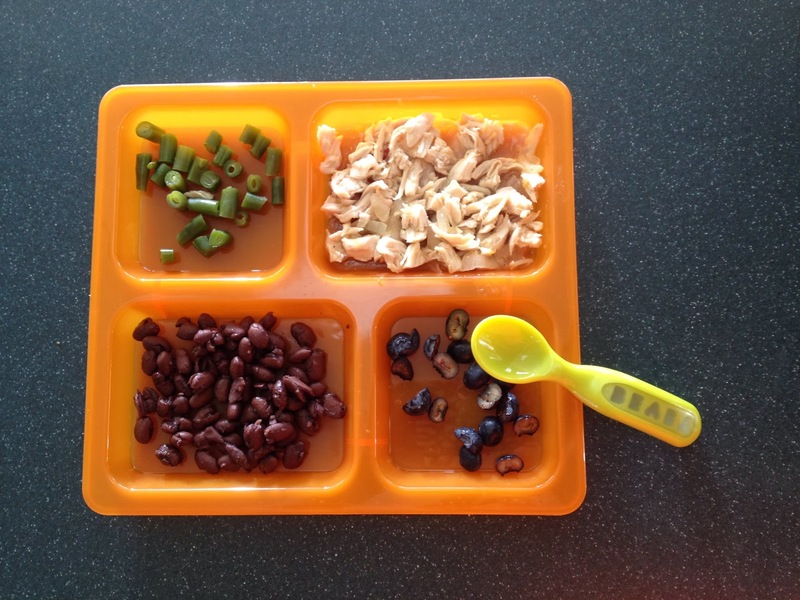 Time for lunch: green beans, chicken, blueberries and black beans for Parker! 2:00 Nap time for little man, lunchtime for mamma! 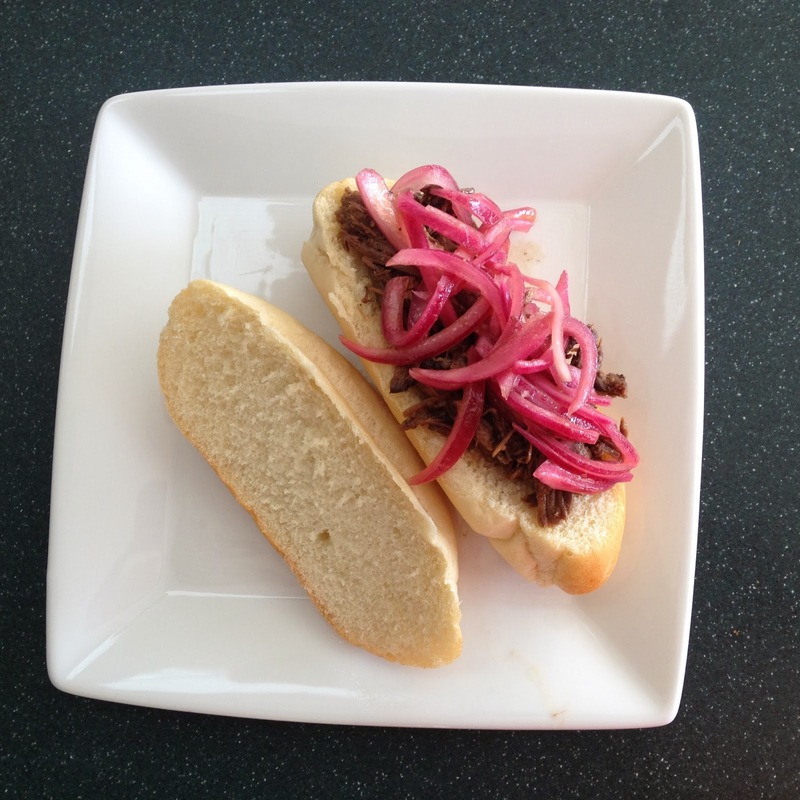 We have leftover roast beef and pickled onions so I make a quick sammy. I spend the next hour or so cleaning up the kitchen, doing dishes and folding laundry. 3:45 Little man is up! 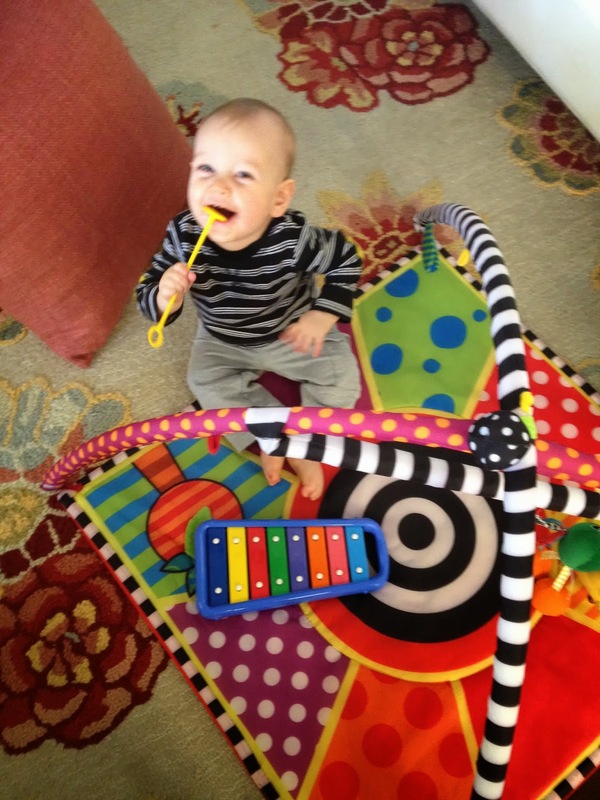 We play for a little while in his nursery. 4:00 We take our afternoon walk. We usually head out after Parker's afternoon nap and always pick up the mail while we're out. It's a beautiful January afternoon in the desert: 75 degrees and sunny. 4:30 Parker "helps" me finish folding laundry and goes down for a twenty minute cat-nap (he usually takes a morning and afternoon nap, but a couple times a week he'll also take a short nap before dinner). 5:30 Daddy comes home early! We head out on a family walk around the neighborhood. 6:00 Max plays with Parker as I heat up the casserole I made earlier and put together a Caesar salad. We eat dinner at the counter with Parker, who also has the Sour Cream Bake for dinner! 7:30 We start P's bedtime routine: bath, lotion, jams, Goodnight Moon, and one last nursing. Daddy always does the bath, lotion, jams and reading (Parker has heard daddy read Goodnight Moon to him for almost every single night of his life!). 8:30 Parker is down and Max and I clean up the kitchen and start the dishwasher. We decide we are up for a movie night in the home theatre! 9:30 Max and I head upstairs to put on a new (to us) Netflix pick: Haywire. It was entertaining with a twist; we enjoyed!